Coordinated by scientists of the Media Center and the Faculty of Educational Sciences of the TU Dresden and in close cooperation with educational practitioners and researchers from Austria, Belgium, Greece and Great Britain, the „Open School Doors” consortium is investigating how parents with a migration background can be more actively involved in the education of their children – with the help of digital media. 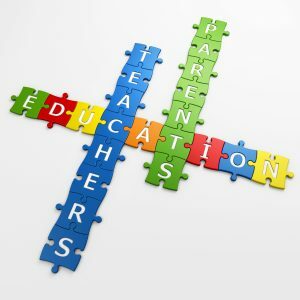 In order to establish suitable school and parent partnerships, the researchers are developing a training framework for educators in the context of the „Open School Doors“ project, which should support them in organizing the integration process of migrant students at school and, indirectly, will trigger the parents’ support for that integration process as well. The planned training program will provide teachers with a comprehensive guide onto how effective collaboration between parents and teachers may be promoted and how integration can emerge as a shared design process, overarching all respective stakeholders. Motivation, knowledge and competences of any teacher involved will be strengthened together with the respective pupils and their parents in order to shape their active integration.